Earn a Welcome Bonus of 30,000 points when you charge $5,000 in purchases to your Card in your first three months of Cardmembership. Earn 1 point for every dollar in purchases charged to the Card. Plus, there is an easy, convenient way to get more out of your Membership Rewards® points - simply charge an eligible purchase to your card. Then you can reedeem points for a statement credit. You can maximize your cash flow with up to 55 interest-free days. 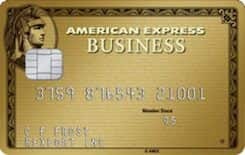 Use the Card throughout the month for all of your everyday business expenses, and earn reward points while you're at it. Take advantage of purchasing power that grows with your business. With this Card, your purchasing power adjusts dynamically with your Card usage, and can grow over time, as long as you make your payments on time and maintain a good credit history. *As a Charge Card, the balance must always be paid in full each month. 30% annual interest rate applies to balances not paid in full. This CAD currency 7 is issued by American Express and runs on the American Express Network. The purchase interest rate for this credit card is: percent annually and the transfer balance interest rate is: % per year. Also the cash advance rate is: % per year. Travel cancelation is for this credit card and also travel accidents are .